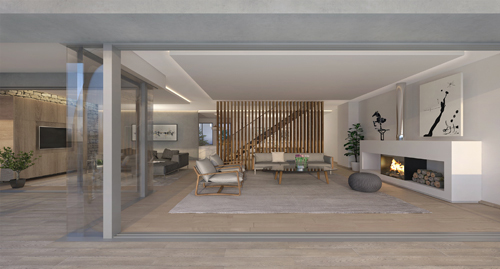 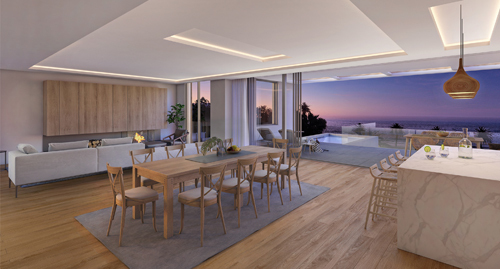 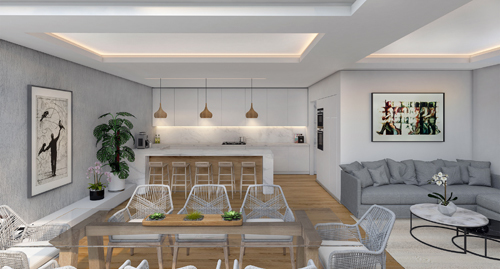 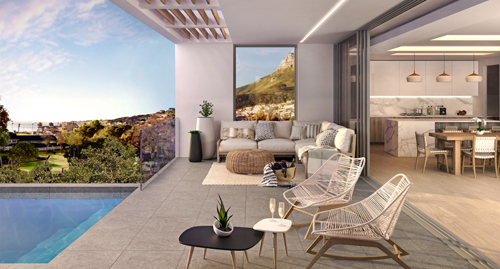 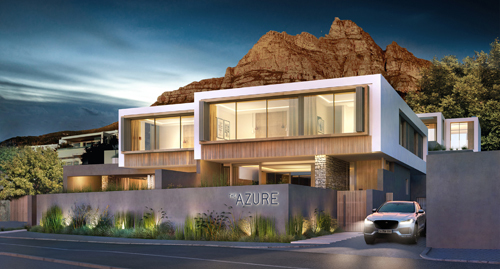 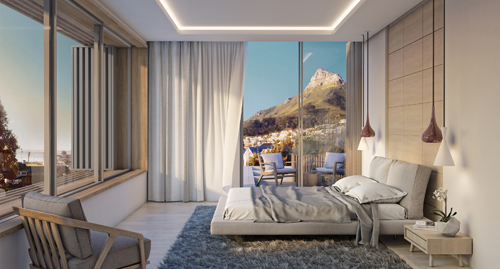 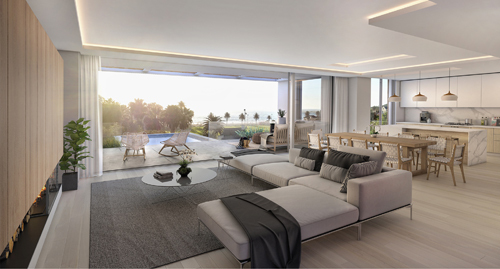 The Azure, a development of 4 individual houses, close to the Camps Bay beach front, was launched in November 2017 by Horizon Capital. 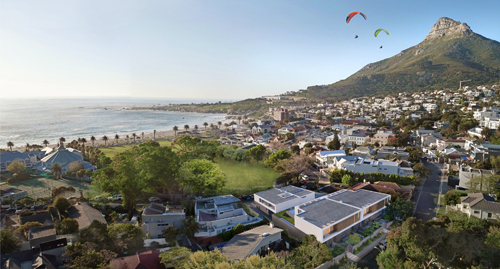 Construction is due to start by mid-2018. 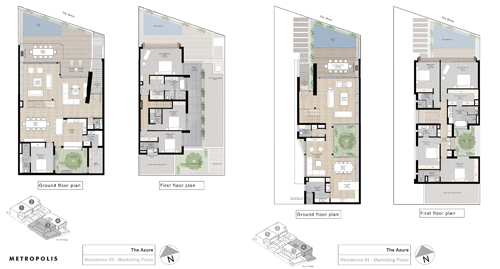 The four bedroom houses are all arranged around courtyards and orientated for maximum views and sunlight. 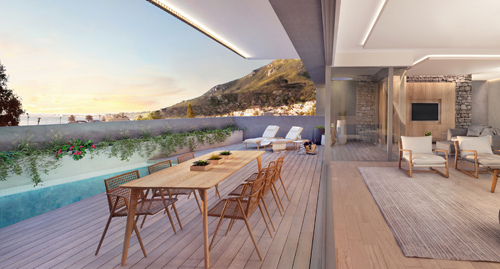 The courtyard spaces, not only allow for privacy but also for exclusion of wind. 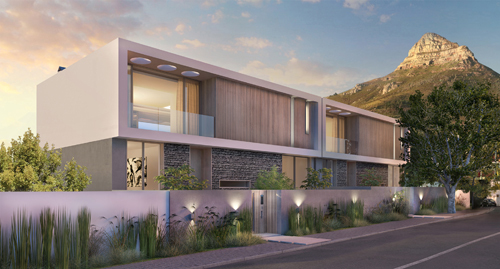 The contemporary architecture integrates the buildings into their surroundings through the use of natural materials and simple primal forms. 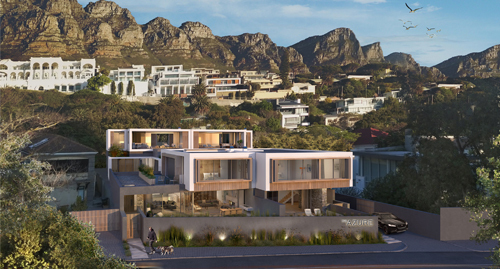 Rich stonework and timber cladding references the immediate surrounding of Lions Head and The 12 Apostles. 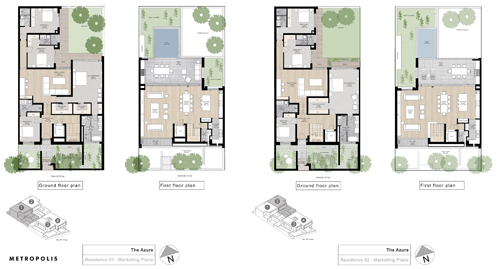 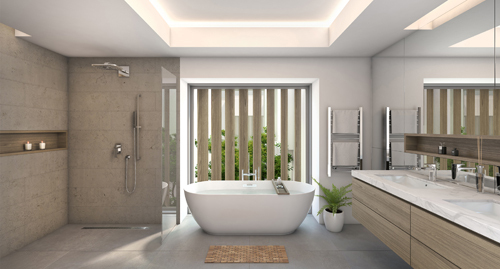 The houses are designed to combine simplicity and sophistication, relaxation and urbanity. 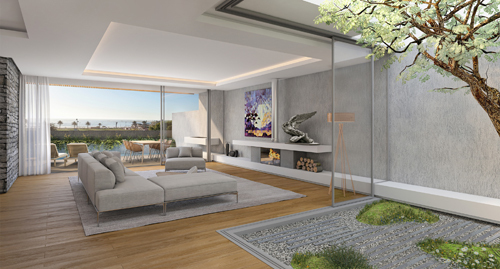 With a strong flow between the inside and outside, the homes are connected to magnificent views on all sides. 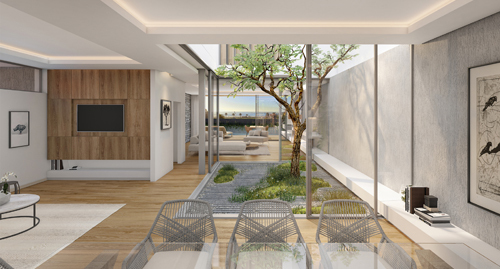 At the heart of each building is a green space – either a water-wise garden or courtyard – that continues nature’s presence into the interior of each residence.